How’s this for a design goal: Transcendence. 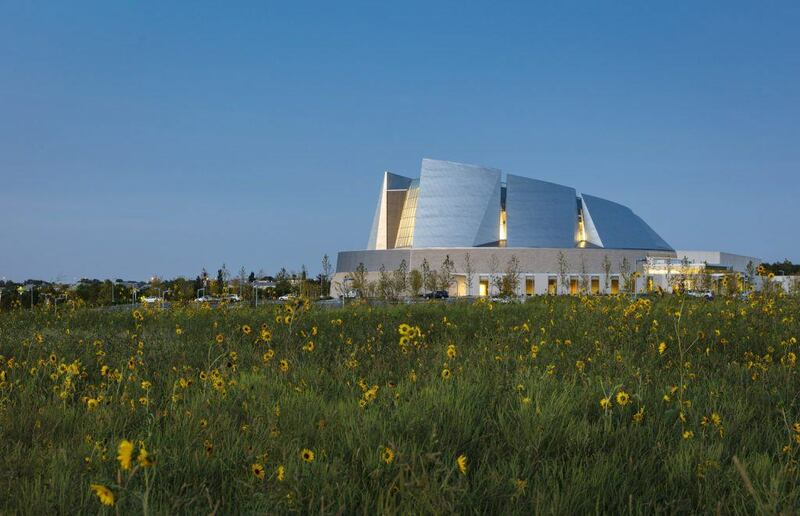 The new 140,000-square-foot sanctuary and support space for the United Methodist Church of the Resurrection in Leawood, Kansas—designed by HGA Architects and Engineers—was, like many similar projects, built to inspire. The long-established church’s desire for a new 3,500-seat, cathedral-like, naturally lit sanctuary resulted in an expressive steel structure with an elliptical shape. The design met these directives while also wrapping the congregation around a thrust chancel to create an intimate sense of community and deliver a transcendent experience for anyone entering the space. The singular project, however, is much more than its grander, signature moves and was the result of an unprecedented interdisciplinary collaboration between HGA’s architects and structural engineers. In fact, the structural design was so married with architectural design that the two disciplines couldn’t function separately from one another; throughout the project, they were simultaneously engaged. While an integrated approach to design and engineering is the norm at HGA, this project pushed the team to an even higher level of collaboration, from the micro to the macro levels of design. Read the complete article in Modern Steel Construction.